Here you will find the complete line of Tucker's Cone Art Kilns for glass fusing and ceramics at great sale prices all with free shipping to most places in the lower 48 states ! Cone Art offers ceramics kilns in Round or Oval and Glass fusing kilns. Tucker's Cone Art Ceramics / Pottery Kilns feature standard floor element. They have taken the element from the hottest part of the electric glass kilns and moved it to the coldest part : the floor. This combined with standard multi-zone control ensures totally even firing, top to bottom! Cone Art Ceramics Kilns feature energy saving double wall construction. The extra insulation means that your kiln does not have to work as hard to reach temperature. Not having to work as hard means that the components last longer so expect less frequent element changes. So while you save on electricity, you also save on wear and tear on the kiln components, therefore you save energy, time, and money ! Watch this short video about Tucker’s Cone Art Kilns to see their unique features. Cone Art Kilns are the finest electric kilns for pottery and glass on the market today. In 1982 Frank Tucker, of Tucker's Pottery Supplies Inc., started Cone Art Kilns. The mission of Tucker's Cone Art Kilns was to build high quality, electric kilns that were designed to fire efficiently even up to high temperatures. That mission continues today. 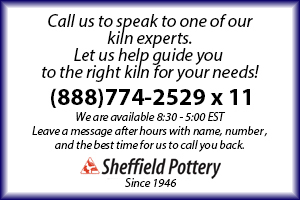 In 1998 Cone Art Kilns was sold to the Shimpo America Corporation. In June of 2006 Frank Tucker re-acquired Cone Art Kilns. The team is very excited about being back in the kiln business. They have already made several improvements to the existing line and we have added some new models. They have also greatly expanded our glass kiln line. Tucker's Cone Art Kilns have always been known as a very high quality line of kilns and are committed to not only upholding that reputation but to improving on it. Known throughout the world for their unique design and unparalleled heat retaining properties, our double insulated Tucker's CONE ART Ceramics Kilns feature two heat retaining walls (instead of a single wall of thicker brick). This extremely energy-efficient design uses substantially less electricity than single wall kilns by placing an extra thick layer of block insulation around the exterior of premium quality fire bricks, enabling the kiln to efficiently reach a true cone 10 as well as create the optimum conditions for the most desirable cooling schedule. Order yours today from Sheffield Pottery.